While SEO isn’t for everyone, the opportunity to appear near the top of the organic search results in services such as Google or Bing can offer important advantages in both branding and lead generation. Our SEO experts will advise you on a search optimization strategy, perform keyword research, optimize targeted pages on those keywords, and generate citations (links) both within your site and from topical, high value third party sites. Generally, each page addressed by your SEO program will be optimized for three to six search terms. Working with you, we develop an SEO strategy based on search terms where you can reasonably expect to be competitive, where the major concentration of traffic is likely to be focused on a problem you can solve, and where visitors using those terms are likely to become profitable new customers. We address all of the structural issues that impact the ability of search engines to properly navigate your site, and the cues that communicate to them what words and ideas are important on each page. We develop cross links within the site with link text that helps them understand what is important on each target page, and include XML sitemaps based on search engine specifications to eliminate any confusion or ambiguity concerning navigation. In the last year or two, the major search services have been increasingly emphasizing fresh content that is relevant to the subject matter of your site and its pages. We will work with you to produce and publish topical, keyword rich content on a regular schedule to satisfy this requirement. One of the most difficult and important aspects of SEO is generating quality links, with appropriate link text, on well regarded, relevant third party sites. We will identify and approach these sites for links back to your site, and/or publish content on external sites with topical links back to your site. As part of our SEO service, we will track key performance metrics, including links from other sites and your positioning in search results. 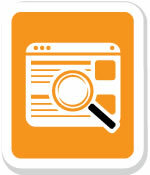 We will also monitor the performance of your key competitor’s sites. If you feel that SEO may be an appropriate solution for your company, call us for a free consultation at (914) 968-1212.